Yoga means Union in Sanskrit and is originally from India. It comes fron Hinduism, and is not linked to any religion, so that both, believers and atheists can practice without being in conflict with their religious convictions. 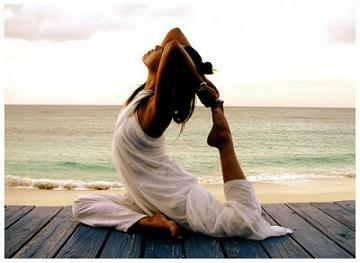 Yoga contributes to our personal development at four levels: Physical, Psychological, Mental and Spiritual. On a physical plane, we will achieve greater flexibility, we will balance our Nervous System and regenerate our glands, becoming more active and dynamic. On a psychological level, we can clear our negative lifestyle habits such as sedentarism, poor diet, stress, achieving emotional stability and relaxation. At the same time, it enhances intuition and raises our consciousness, in order to overcome problems. A session of Kundalini Yoga is a sequence of postures, which along with the breathing and the sounds of mantras allow us to erase believes that block us integrating body, mind and soul as a whole. Each Yoga session has multiple benefits for all our human body systems: Nervous System, Digestive System, Inmunologic, Circulatory, Respiratory, and so on. Yoga is a discipline that should be supervised by qualified staff and Yoga Practitioners should persist in their practice to experience major benefits. We offer individual and group classes. The physical body is a temple: Take care of it. The mind is energy: Regulate it. The Soul is the projection: Represent it.